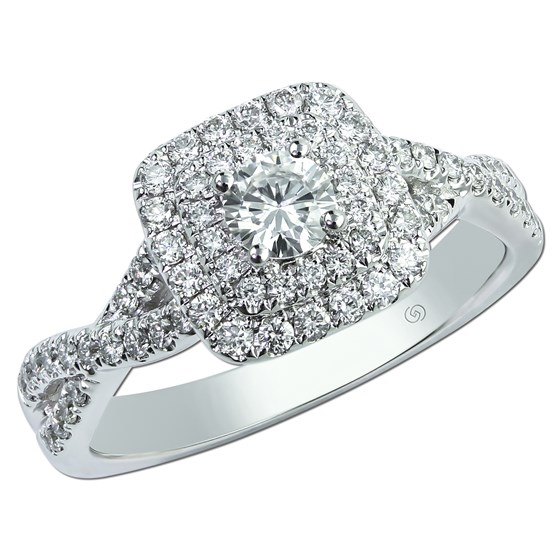 Stunning engagement rings from one of the most respected engagement ring manufactures in the US. Hundreds of choices. Great Prices. Outstanding Service. Round diamonds are bead set to capture your attention. Romantically twisted, this rose gold inspired semi-mount ring features layered rows of shared prong set round diamonds. Shared prong fancy yellow diamond ring featuring a princess cut center diamond, surrounded by a halo of fancy yellow and white diamonds. Exceptionally crafted and vintage inspired, bead set round yellow diamonds and round diamonds enhance a magnificent yellow cushion cut center diamond. Oval cut halo diamond Just Beginning engagement ring. 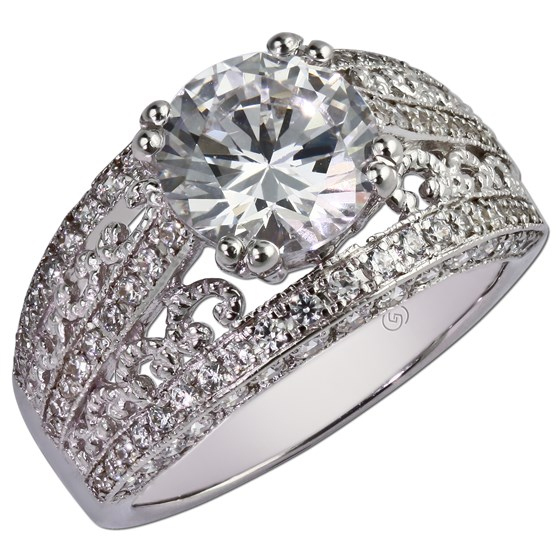 A single row and a frame of round diamonds highlight an oval cut diamond. Pear shaped halo diamond Just Beginning bridal set. A single row and a frame of round diamonds highlight a pear shaped diamond. 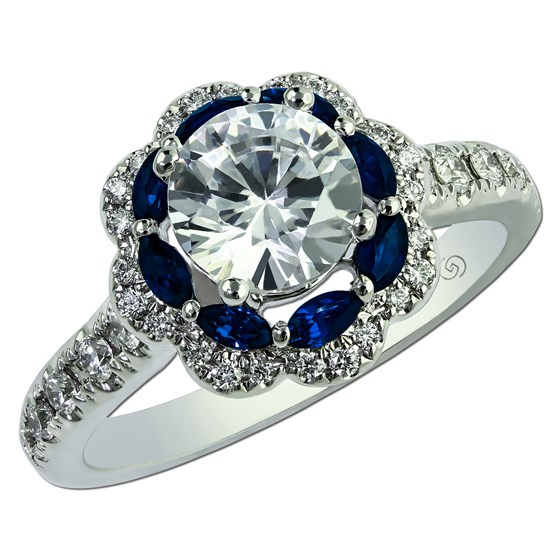 Unique marquise cut sapphire and round diamond halo semi-mount engagement ring. 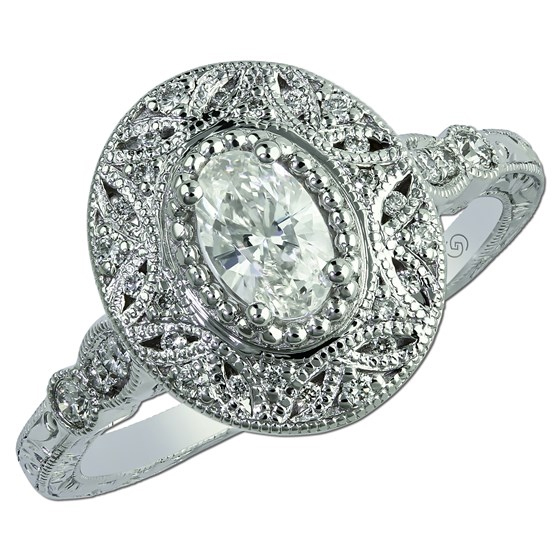 Elegant two tone cushion halo diamond Just Beginning engagement ring with a touch of vintage. Shared prong style, along twisted split shoulders, coming together at a beautiful diamond double halo, encompassing a sparkling 1/4ct round diamond. Stunning Fancy Yellow cushion cut diamond ring with two half moon shaped diamonds. Pear shape diamond and a halo of shared prong set round diamonds. Unique rose two-tone diamond shared prong set semi mount ring. Vintage inspired wide open filigree and pavé semi mounting. Vintage inspired wide open filigree and bead set semi mounting. Vintage inspired pavé halo semi mounting. We love, love, love this company. Their quality and craftsmanship is unsurpassed and all work is performed in the US. We've got a large selection of rings in stock so stop by for a look - you won't be disappointed. Integrity, attention to detail, quality and craftsmanship go into every piece of fine jewelry from Gottlieb & Sons. Ask your retailer for Gottlieb & Sons by name. America's premier jewelry manufacturer. Please email, call or fax Gottlieb & Sons at our home office.